NEW ORLEANS, Louisiana, February 22, 2013 (ENS) – A federal judge has agreed with British oil company BP that the 810,000 barrels of oil the company recovered from its 2010 spill site in the Gulf of Mexico should not be part of the court’s determination of Clean Water Act penalties. U.S. District Judge Carl Barbier agreed with BP attorneys that under the Clean Water Act, civil penalties are assessed only on oil that has actually entered the environment and potentially caused harm. The U.S. Department of Justice also indicated that it agrees with BP’s position on this issue. “The ‘Collected Oil’ flowed from the subsurface reservoir, through the well, through the blow-out preventer, and never came into contact with any ambient sea water, and was not released to the environment in any way,” Judge Barbier ruled on Tuesday. The ruling came just six days before the judges presides over the spill-related civil trial set to start on February 25 in New Orleans. The federal government estimates that about 4.9 million barrels of oil were spilled by the April 20, 2010 explosion and fire on the Deepwater Horizon offshore drilling rig in the Macondo Prospect oil field about 40 miles southeast of the Louisiana coast. Eleven crew members died in the explosion. The wellhead on the sea bed a mile below the surface broke, resulting in the massive offshore oil spill, considered the largest accidental marine oil spill in the world, and the largest environmental disaster in U.S. history. 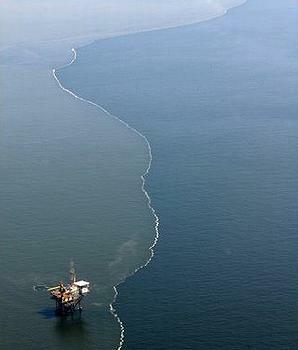 The oil gushed from BP’s broken wellhead for three months before BP engineers finally sealed the well. During this period, BP was able to capture and store some 810,000 barrels of oil. This recovered oil will not be counted as spilled according to Judge Barbier’s ruling. The ruling reduces BP’s potential penalty at the civil trial from $21 billion to $17.6 billion. BP believes that “a figure of 3.1 million barrels should be the uppermost limit of the number of barrels spilled that should be used in calculating a Clean Water Act penalty,” the company said in a statement Tuesday. The proceeding beginning February 25 is the first of at least two phases the court has set for the trial. The first phase will be focused on the causes of the Deepwater Horizon accident, who should be held responsible, and to what degree. Oil flow rate and quantification of barrels of oil spilled are issues that will be addressed in the second phase of the trial, which is scheduled to begin in September 2013. Three of the nation’s largest environmental groups – Environmental Defense Fund, National Audubon Society and National Wildlife Federation – are looking to the court to hold BP financially responsible for restoring Gulf of Mexico ecosystems that were damaged by the massive spill. “After the death of 11 men, more than 4.1 million barrels of oil spilled, and extensive economic and environmental damages across the gulf, it is time for the unprecedented disaster to be made right,” the groups said. Separately, Judge Barbier Tuesday approved a $1 billion civil settlement between the U.S. government and Transocean Deepwater Inc. related to the spill, which had been agreed in January. 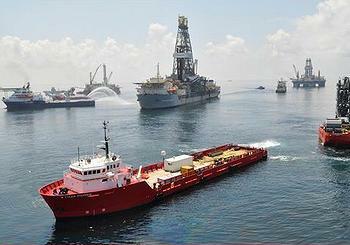 Transocean’s Deepwater Horizon rig was destroyed in the blowout. Transocean pled guilty to violating the Clean Water Act and will pay $400 million in criminal fines in addition to the $1 billion civil settlement. The overall civil case before Judge Barbier is: In re: Oil Spill by the Oil Rig “Deepwater Horizon” in the Gulf of Mexico, on April 20, 2010, No. 10-md-02179, in the U.S. District Court, Eastern District of Louisiana.